ROW DTLA: Developer Atlas Capital bought the 30-acre, seven-building complex at Seventh and Alameda streets in 2014 and is now working on building new infrastructure and renovating the interior spaces. There is no firm timeline for when creative office, retail and restaurants would debut. 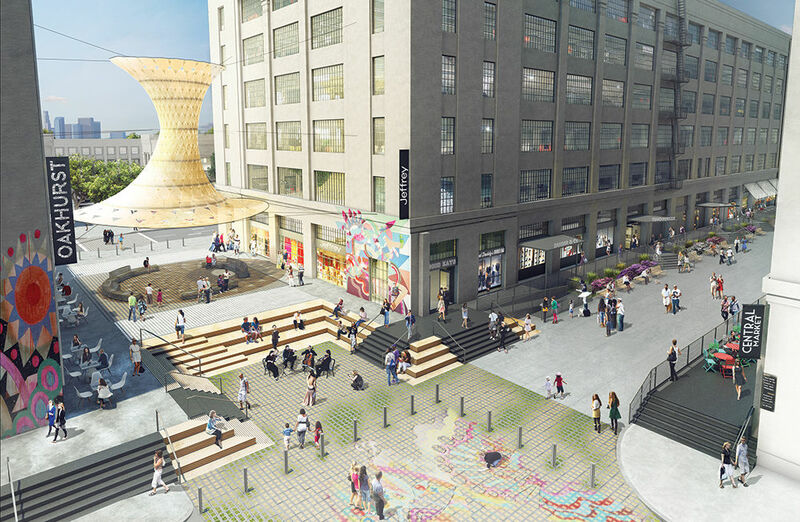 The plan for the complex now known as Row DTLA is to create 1.3 million square feet of creative office space, approximately 100 stores, more than 20 restaurants, and spaces for community gatherings and public events. The complex, known to many as the home of American Apparel, would have themed streets: “Market Row” would run along a pair of 70,000-square-foot, two-story buildings that would hold office tenants. It would be adjacent to “The End,” a public square, while nearby “Dock Street” would focus on dining options. “The Narrows” would offer cultural and entertainment-leaning storefronts, while “Center Street” would host an open-air produce market.